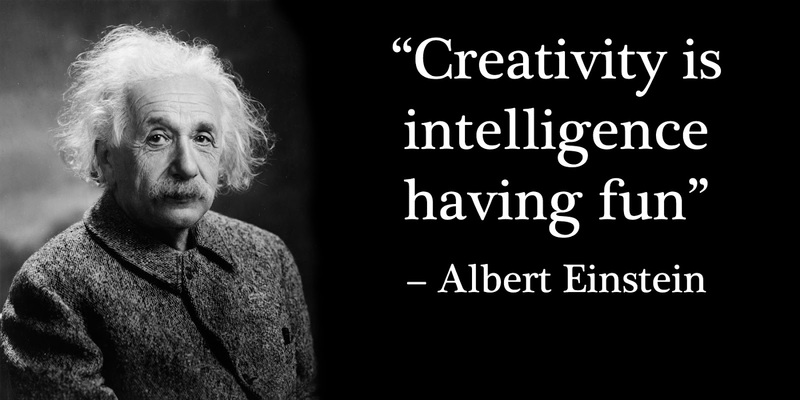 R.Across: 4 reasons you break your creativity. Hello brethren, how are you? First off, I would like to thank for all situations of my life regardless of how it is. Thank for those who are just reading, sharing or commenting, because that's makes me want to write and exposing more my knowledge. 4 reasons are the main and there are more them. However always see them FORCING to want to show something. Don't be forcing, it hurts! 1. Don't be forcing your mind. I noticed that some people are forcing the mind to write, draw or create something new in their projects, in fact, they are doing a bad thing for themselves as if they were wanting to put whole apple in the mouth, know that will not enter. Some people say you need to be watching, reading and writing all the time to get something new, it's not that way! Things to become with quality when we are going to make it with consistently, thus time to time consolidating to make something better. It's a diamond! You are not machine, just say to that person who is charging you something like this: "My mind is revolutionizing and something new coming, wait!" Stop that! Pushing things will not flow NOTHING! Let things flow naturally where the energy and imagination will come in your thoughts, of course, always get the discipline and keep it on alert. I recommend you close the eyes for 20 minutes, give a time to you, you have soul. In this case, would you like to date someone forcibly? I think not, then think about it! 2. Don't create just for creating something. In my life journey, some people were saying this: "I will create anything, they will not notice" Maybe it's a failure for you to do this, because you're lying to yourself. People notice when you did something forced and that did not come from your feelings, soon after, you will feel empty even if it approved. The dissatisfaction will come for you, because it was not your real feeling, it will be a time bomb for your soul . Don't worry about what people will think, better disapprove than lying to yourself, we must revolutionize! Do not create to create, but create to grow it! 3. Open your mind to NOVELTY. I have noticed that some people are afraid to change the trajectory, because they think they will be rejected, but have you already tried? Why do you NEED to follow the same path of all? The creativity is not enough? I believe and feel that some people do not seek CREATE, because they think they will not sell anything. See other authors, artists and great inventors who have made something new to the world. Why some people are using some Apple product? Because Steve Jobs was bold to want to do something new and called him crazy, and if he was not, how about it? If he had not revolutionized, the Apple would exist? So do not limit yourself, feel, hear and do, be DIFFERENT! 4. Don't give importance to society! Ohh, always get it! Some people caring what society will think about. I believe this is one of the largest mental padlocks incumbent to change, coming the FEAR to revolutionize and make a difference. You are afraid? Sometimes I am, but it does not prevent me to make a difference because I believe that things need to change and that nothing will be stationed. Therefore, get up off the couch, stop complaining and do what your soul asks. 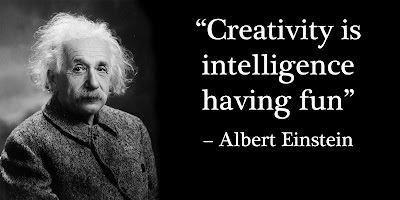 Creativity is knocking at your door? Accept it, even though bizarre, but it can make all the difference in the world, think about it! Therefore, I hope these 4 reasons may have given you more strength and hope for your projects, so go ahead. You are light, you have no idea about your ability. Revolutionize and change, always go for good deed.